A Cornish family-owned company started from its founder’s kitchen has been shortlisted for the highest national award in its industry. Cornwall Glass & Glazing has been selected as one of three finalists in the running for this year’s G10 National Glass Company of the Year Award. 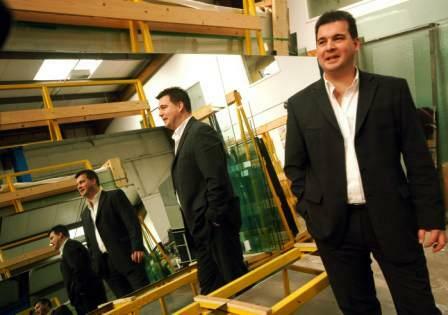 Since being established by David and Heather Mitchell from their home in Truro, Cornwall Glass & Glazing has expanded to operate from 13 outlets across the region, spanning Cornwall, Devon, Somerset and Wiltshire. The company has a turnover in excess of £8million and employs over of 150 people. MD Mark Mitchell commented: “We are immensely proud to have been shortlisted in the Glass Company of the Year category at the G10 Awards.